"Micheal is practically the Father of Accelerated Learning. I just sat his course and literally quadrupled my reading speed in an hour - and I'm already a FAST reader. Absolutely amazing!!" Best-selling Author of "Lucid Dreaming in Seven Days"
"Thank You, Micheal - this course absolutely opened my eyes! I've at least tripled my reading speed and in just 60 minutes. I went from 300wpm to over 1000wpm. This will REALLY help my editing!" "This is not a question, I'm writing to say thank you for the audio course. I was amazed within the first fifteen minutes; I can't believe how I've changed! Really, really, you’ve helped me so much. I'm now at 850wpm!!" "Please publish this on your testimonials page. Dr Micheal Masterman is a genius! I've attended one of his seminars and The Speed Reading Secret beats it all. I can now read almost any book in FORTY minutes.All thanks to Micheal!" "To be honest, when I bought this course I didn't realizse what an effect it would have on me. It's brilliant, pass on my thanks to your team and Micheal. Excellent, excellent, EXCELLENT. I'm still in SHOCK at how good this stuff is!" [email protected]*******.co.uk, Keyworth, Nottingham, UK. "I bought the Howard Berg guide to spend reading - and thought it was just okay. He recommended listening to fast music. Wow-how wrong was HE! Just bought your entire course and I am VERY impressed. Up to 800wpm!" "You're right about the benefits; I have found myself thinking a lot quicker. Please publish this on your site, I really am a happy customer. Thank you!! Tell anyone to contact me, I've happy to tell anyone about this new site." "This isn't a quotation, I want you to let Dr Micheal Masterman know what I think! Love the entire course. I was expecting to request a refund within 24 hours. 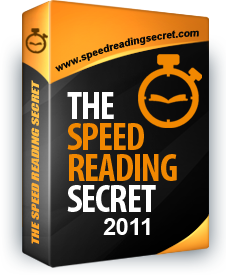 My initial reading speed was 230 words per minute. I'm now almost a THOUSAND!" Gilmore Street, San Diego, CA.